Hop on over to Amazon where you can score this Calphalon Contemporary Hard-Anodized 11″ Square Griddle Pan for just $25 shipped (Retail $72)! 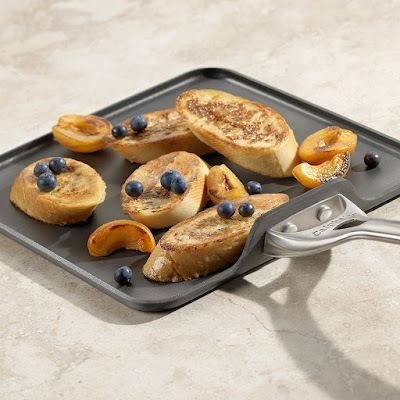 This griddle pan is made of hard anodized aluminum so that heat is distributed evenly. This pan is also dishwasher safe. You can also score this Calphalon Classic Nonstick 5 Quart Saute Pan with Cover for just $39.99 shipped (Retail $79.99) – lowest price! This non stick pan is easy to clean and is oven safe up to 450°F.